Women need plenty of iron because things like menstruation can cause the levels of iron to plummet. When iron levels are low it can cause problems such as low energy and the tendency to get injured. The best multi vitamins for women also include minerals for bones such as calcium and folic acid to help prevent birth defects when they decide to conceive. In other words, people need a formula that is blended especially for women. Women who take multivitamin tablets along with calcium supplements seem to have a reduced risk of developing breast cancer, new research suggests. The authors of the study suggested that the interactions of different vitamins together might account for the beneficial effect. 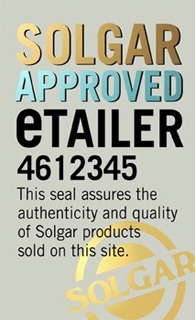 Solgar supplies several different multivitamin supplement products such as Solgar Female Multiple 60 Tablets.